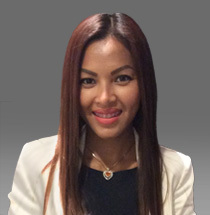 Since 2010, May has worked in the field of skin care and aesthetics. Over the years she has developed a particular expertise in medical and surgical aesthetics. She has completed her assistant nursing program and has attended numerous training courses for the medico-aesthetic treatments offered at Medispa. With her experience in the operating room for cosmetic surgery, as well as hair grafting surgery, she has acquired the necessary skills to provide safe, detailed, and quality care. Besides her professionnal expertises, she has a remarkable sense of beauty and her particular thoroughness allows her to give her patients the best therapeutic options. May dreamed to offer high quality and efficient care in an exceptional environment. Therefore, she has developed the concept of the Medispa de Maisonneuve non-surgical aesthetic clinic, where clients are supported by a professional aesthetics team in a safe, warm, and enjoyable environment. She is proud of her success and to now be able to benefit her customers. Mrs. Khansu is passionate about her work and makes no compromise in offering the best beauty and aesthetic care to her clients. 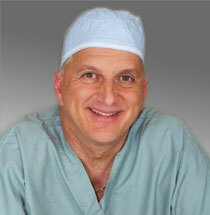 Dr. Michel Chagnon is a specialist certified in general surgery who now practices exclusively in cosmetic surgery. He offers personalized and quality services, while ensuring the highest level of security. Dr. Chagnon has over 25 years of experience in surgery, including 14 devoted exclusively to cosmetic surgery. He has followed the necessary training courses and obtained the required skills to be recognized by the College of Physicians of Quebec in order to offer the surgeries he performs. Since 2001, he has performed more than 4500 cosmetic surgeries, including breast and abdominal surgeries, liposuction, and body lifting. He has developed an expertise in noninvasive medical aesthetics (filler injections, Botox, laser, ultrasound, etc.) and he has practiced over 4600 hair transplant surgeries. Previously, he practiced inpatient surgery and worked for eight years as a professor in clinical teaching for the Faculty of Medicine of the University of Sherbrooke. He also held various administrative functions: Head of General Surgery Service of the Centre hospitalier universitaire de Sherbrooke, jury member of the Royal College examinations in general surgery, and president of the Association of Surgeons of Quebec. Dr. Chagnon graduated from the University of Sherbrooke. He first obtained his bachelor’s degree in cellular physiology before continuing his studies in medicine and completing a Masters in Pharmacology and five years of specialty in general surgery. He is a member of the Royal College of Surgeons, the International Society of Hair Restoration Surgery, and the American Academy of Cosmetic Surgery.